A simple way to bring pollinators into your garden is to plant Lavender. Bees L-O-V-E Lavender. It’s a fact. A recent two-year study found that Lavender is among the top flowers most attractive to bees. The color of lavender doesn’t appear to be that important to the bees. 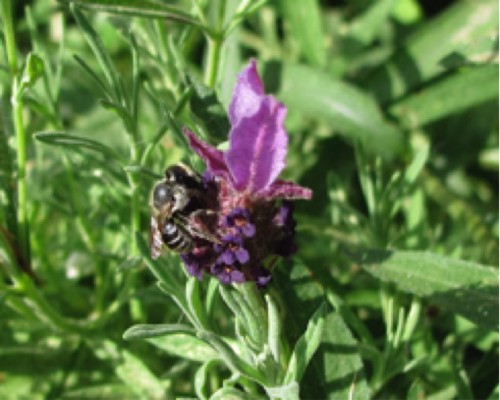 White and pink hybrid lavenders were visited as much as blue hybrid varieties, suggesting that how long the plant is in bloom and the size of the flowers are more important for the bees than the color of the flowers. 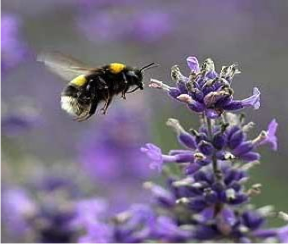 Highly-bred varieties of English Lavender (Lavandula angustifolia), including grosso, hidcote giant and gros bleu were the most attractive to Bumblebees. By the way, Mason Bees also love lavender. Besides being beautiful and fragrant, Lavender acts as a beneficial for bees. One of the biggest pests to the Honeybees worldwide is the Varroa mite, which is believed to be the single largest contributing factor in the modern day decline of Honeybees, due to its ability to transmit diseases that result in death or severe deformity of the Honeybee pupa. Varroa do not like the smell of Lavender, so Lavender aids bees in ridding themselves of mites. Planting and Care of Lavender. 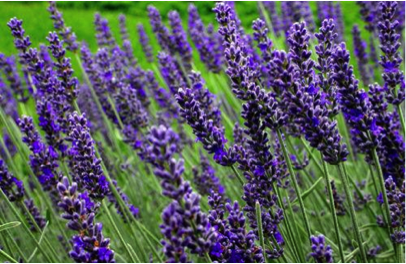 Plant Lavender in well drained soil; if planting in containers use a 50/50 mix of grit and multi purpose compost. 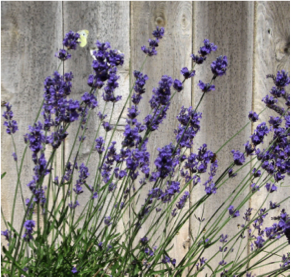 Lavender does not grow well in continuously damp soil. It is fairly tolerant of low temperatures, and generally considered hardy to USDA zone 5. It tolerates acid soils but favors neutral to alkaline soils. In some conditions it can be short-lived. Cut Lavender back at the end of August by 1/2 to 1/3, this will encourage new growth before the winter and help prevent woodiness. Dead-head the flowers throughout summer to prolong flowering. If you planted in containers, be sure to raise the pots in the winter to stop them standing in water, which causes root rot. Make sure not to overwater. Pruning after flowering will encourage bushy growth, and more flowers, which are what the bee will come looking for. Some varieties of lavender will flower from spring all the way into summer, and several will flower again in Autumn, especially if pruned. There are also many selected varieties and hybrids, which boast particular flower color variations, including dark purple and white, as well as prostrate forms that can be used as ground covers.